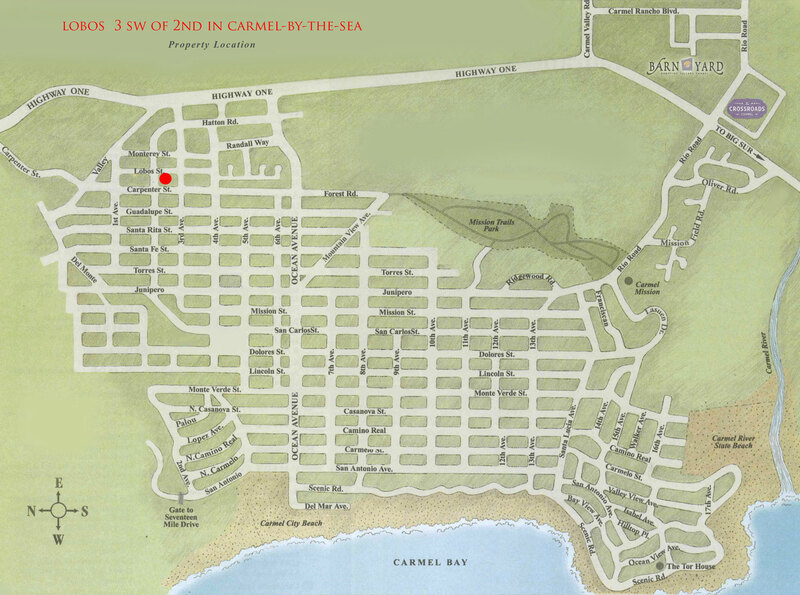 Sea La Vie - Carmel living as you would imagine it. 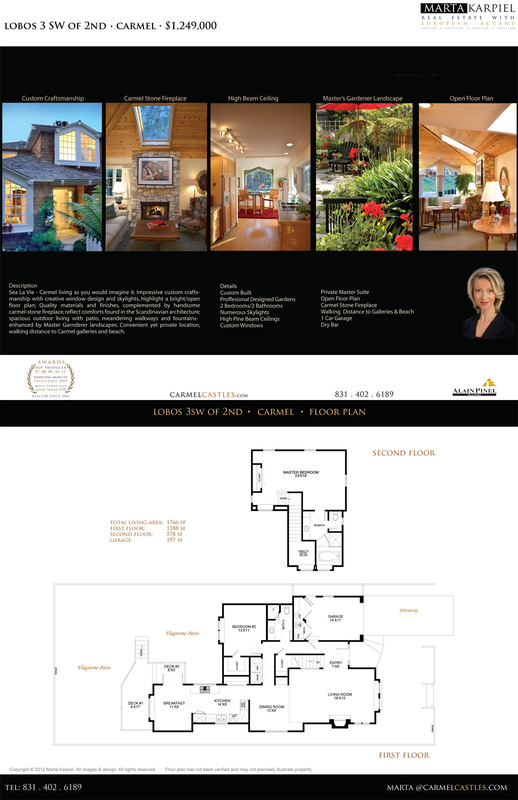 Impressive custom craftsmanship with creative window design and skylights, highlight a bright/open floor plan; Quality materials and finishes, complemented by handsome carmel-stone fireplace, reflect comforts found in the Scandinavian architecture; spacious outdoor living with patio, meandering walkways and fountains-enhanced by Master Garnderer landscapes. 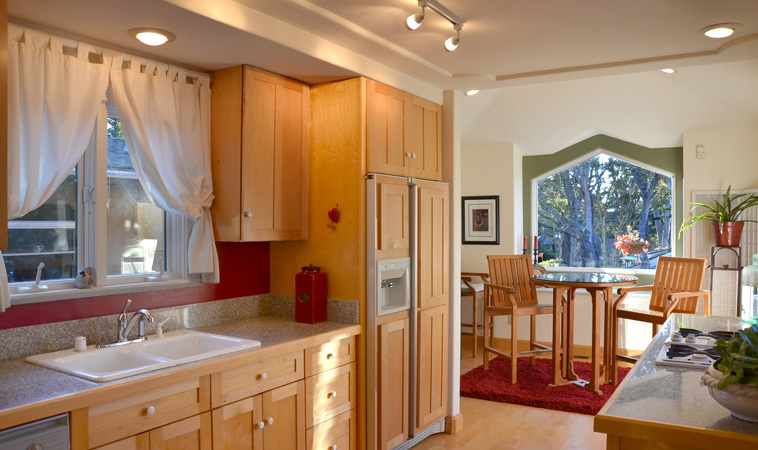 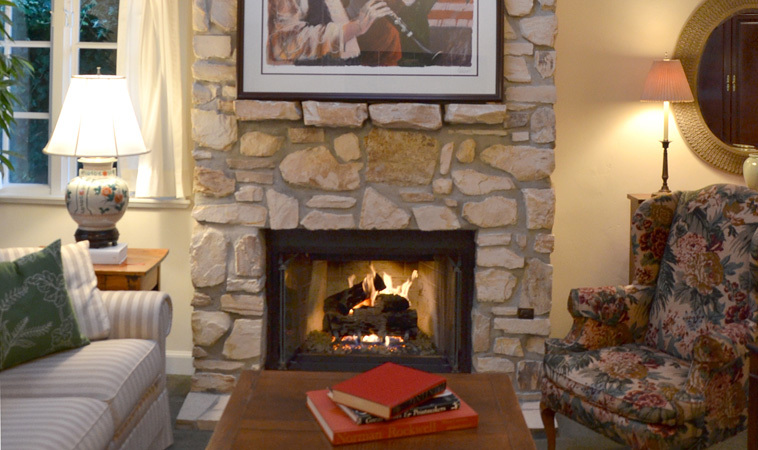 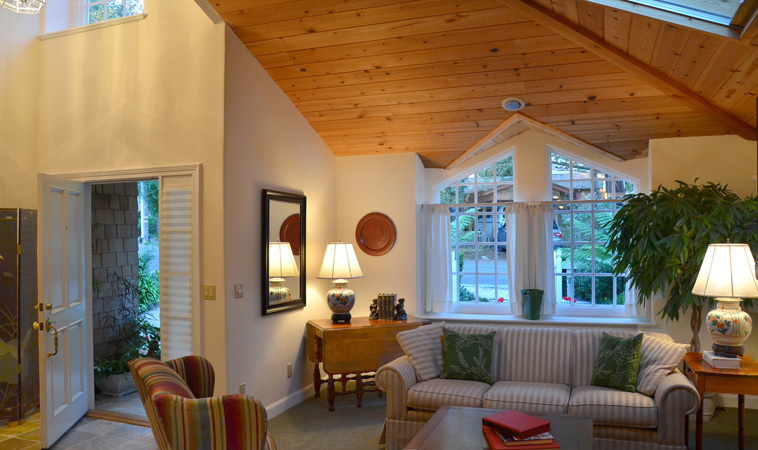 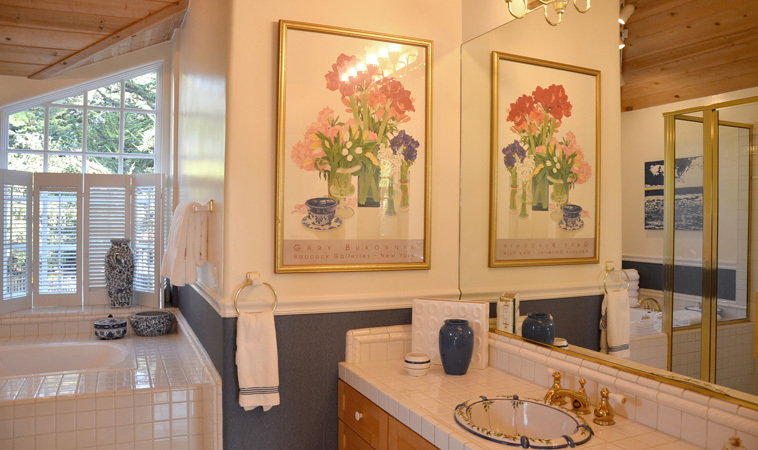 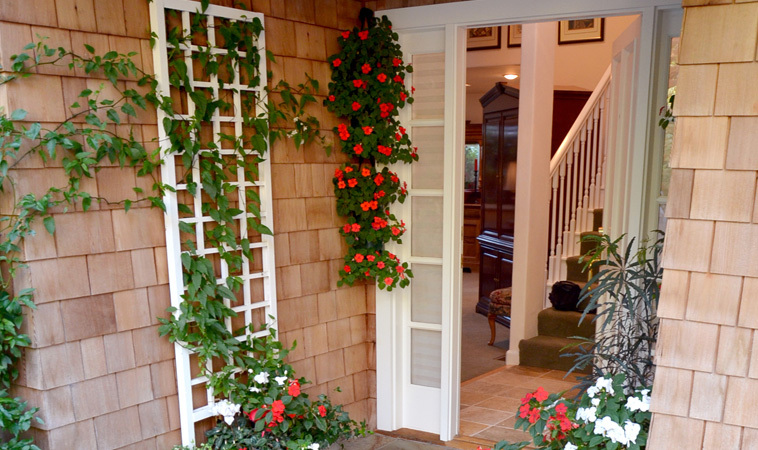 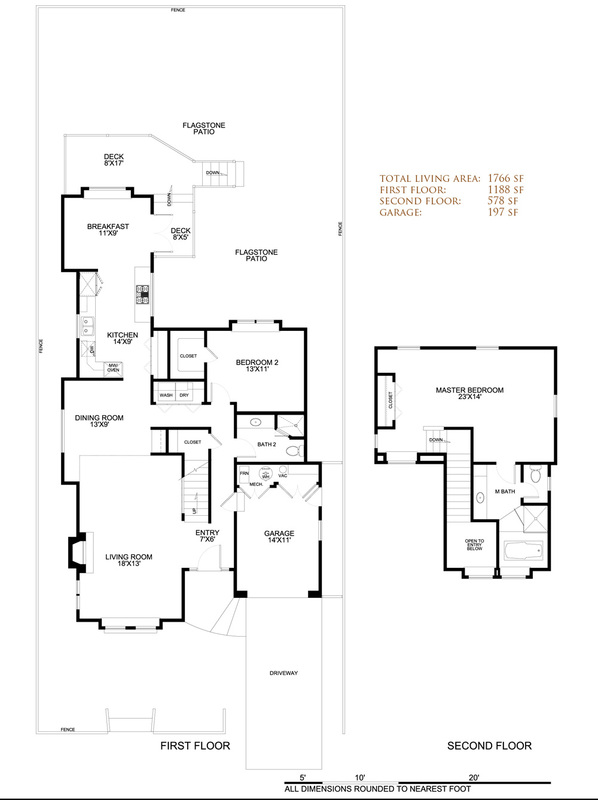 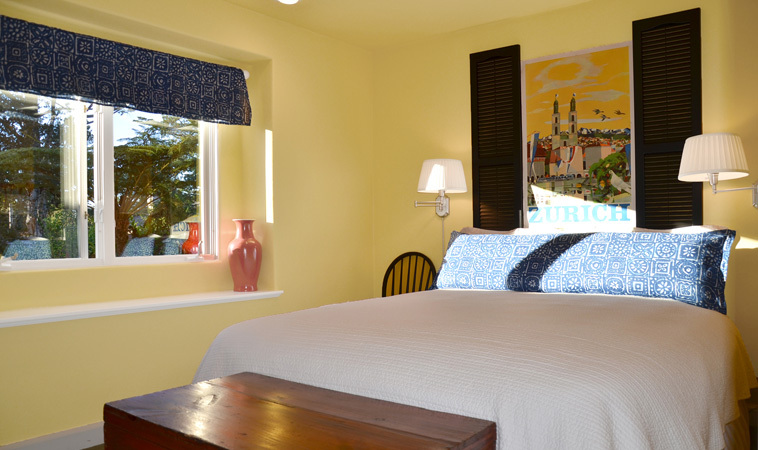 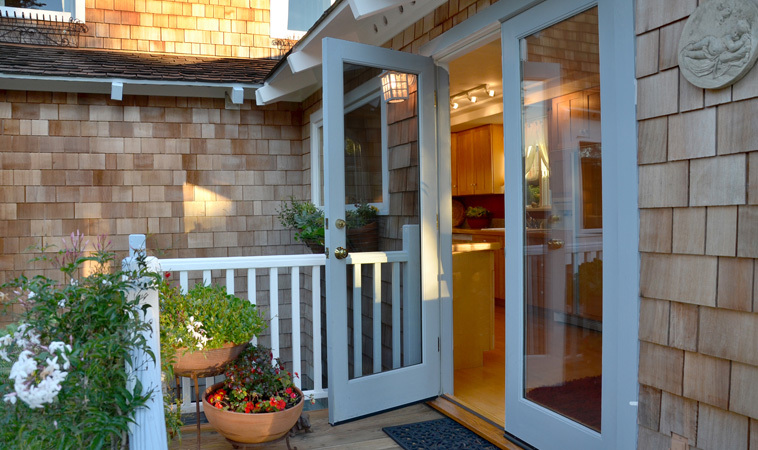 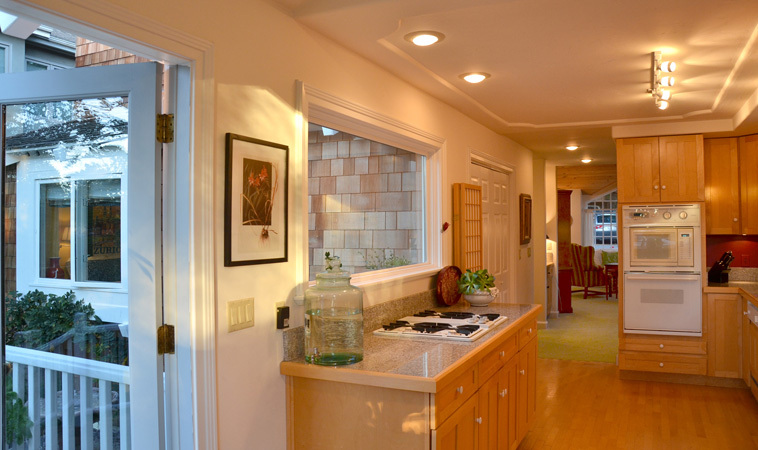 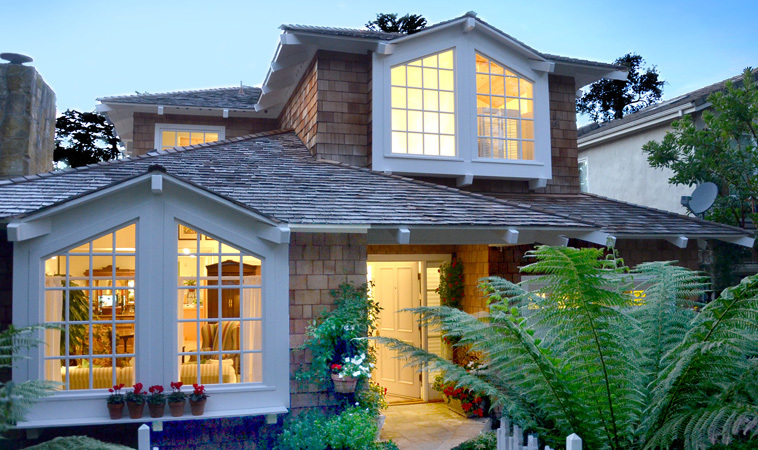 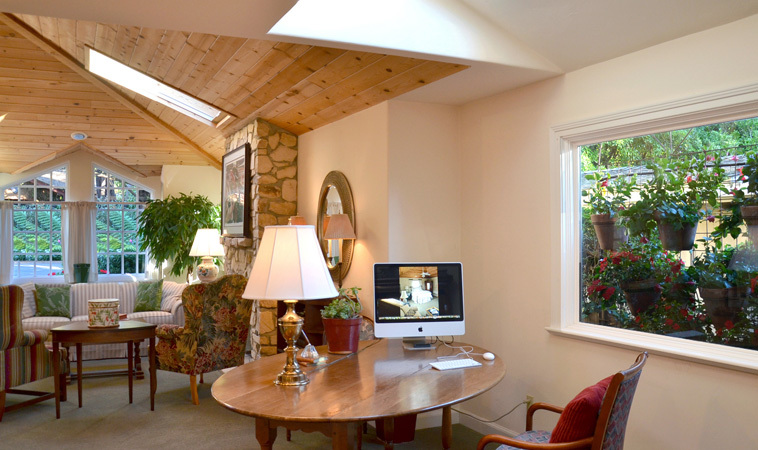 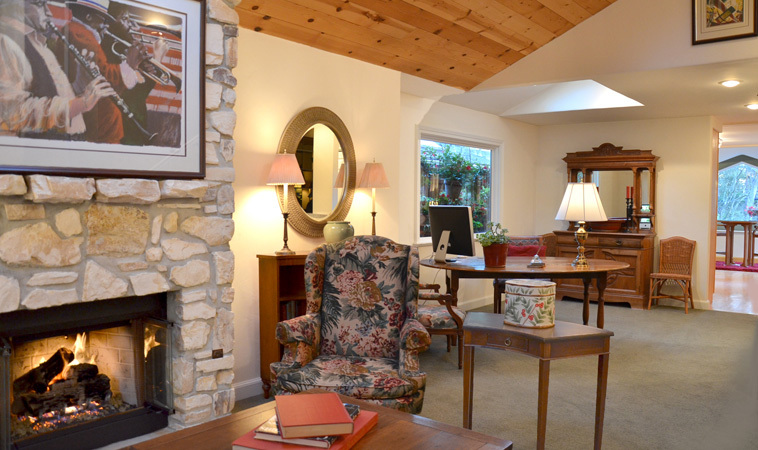 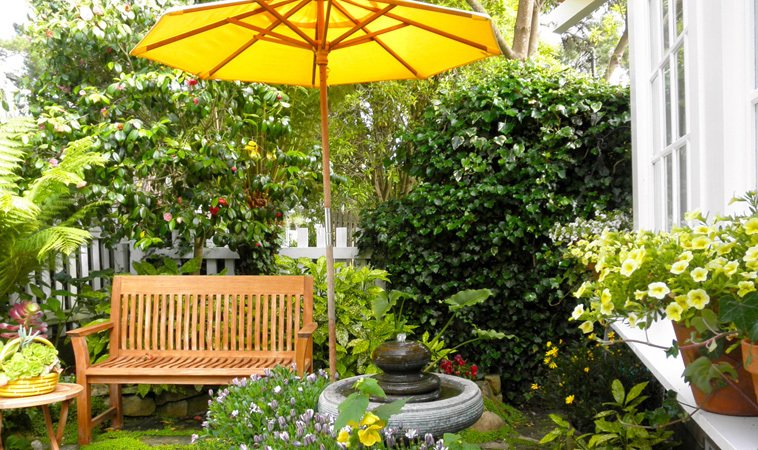 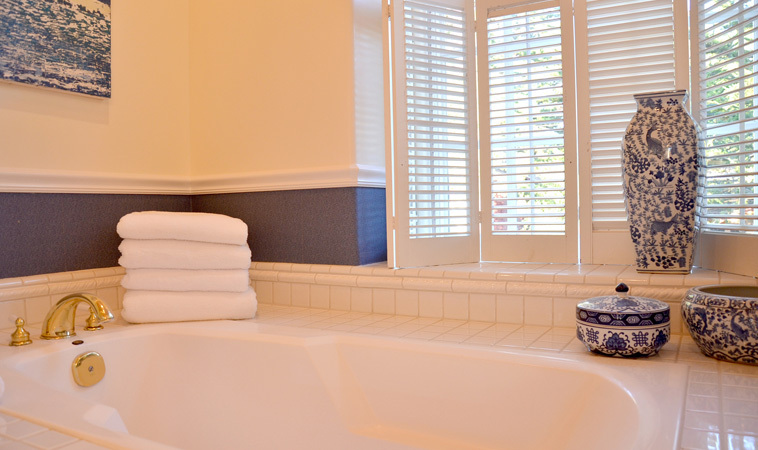 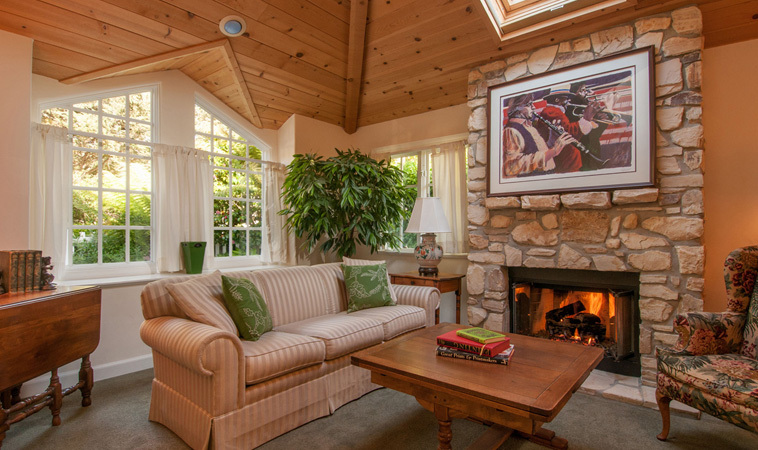 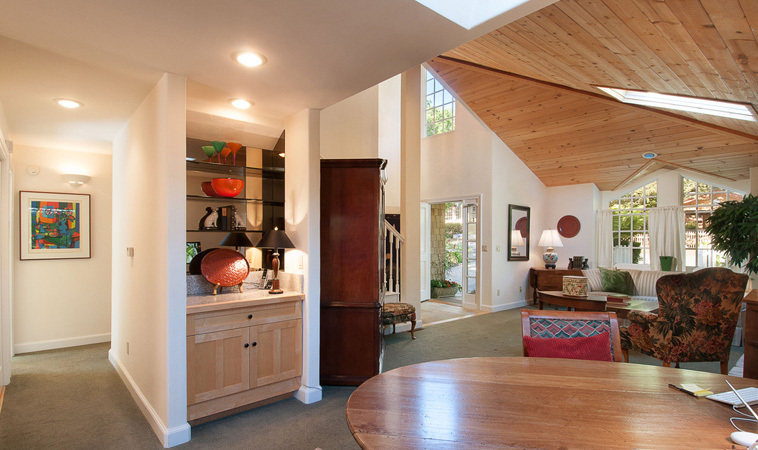 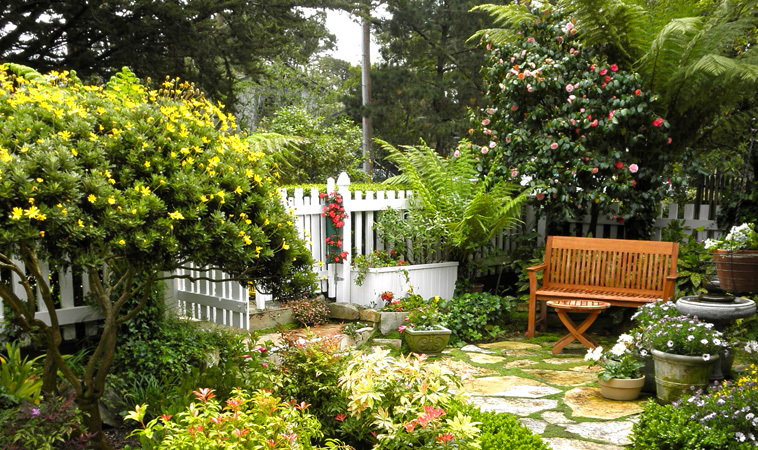 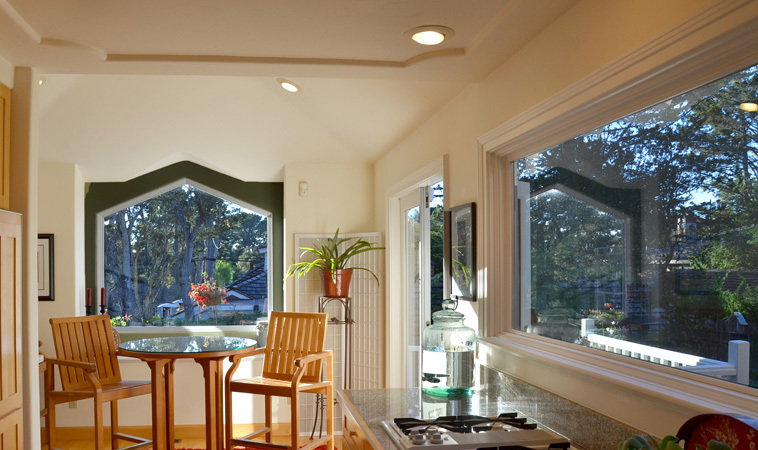 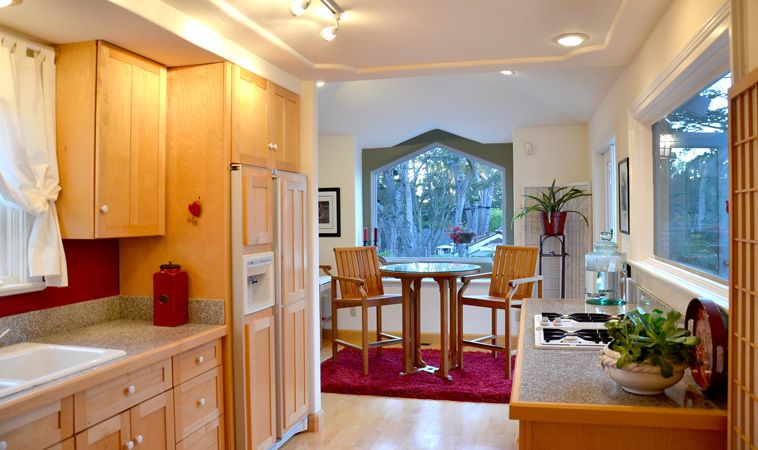 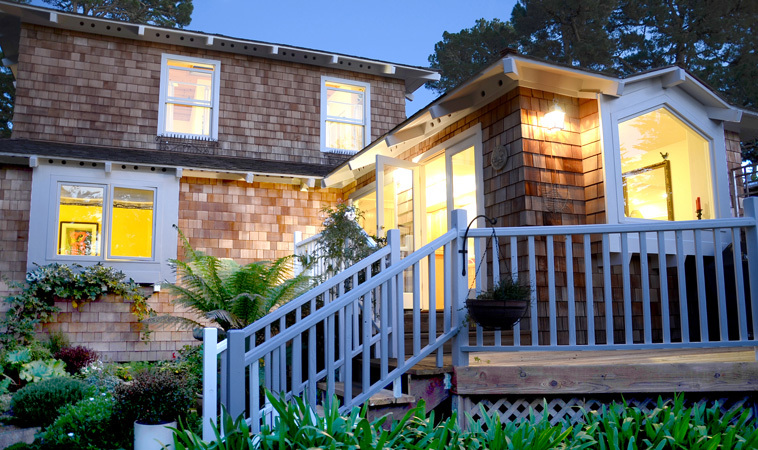 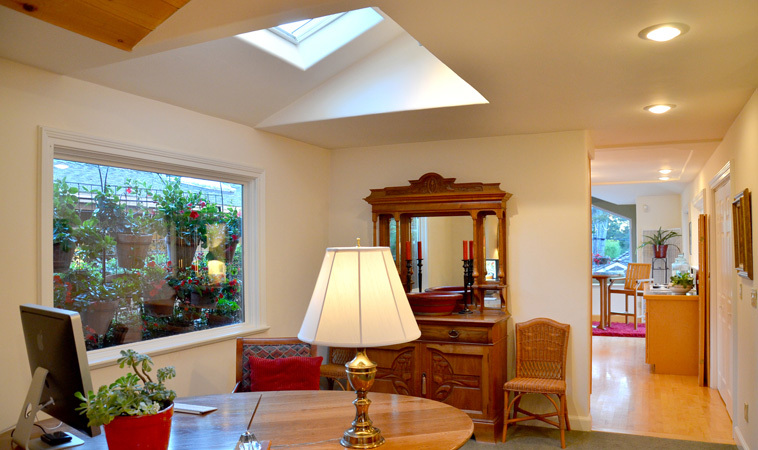 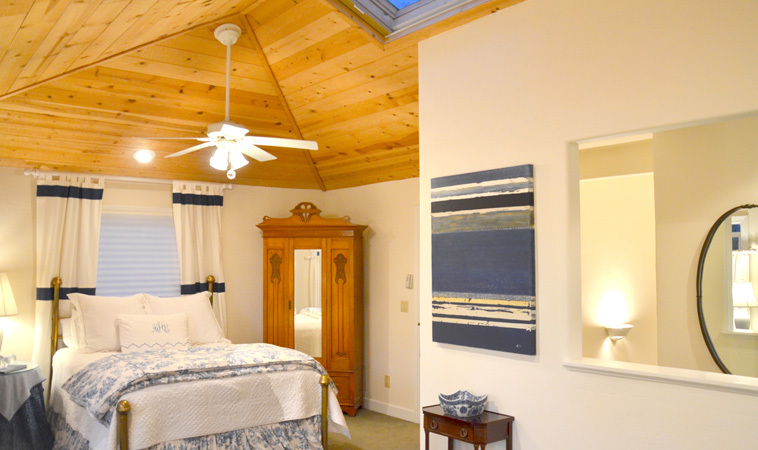 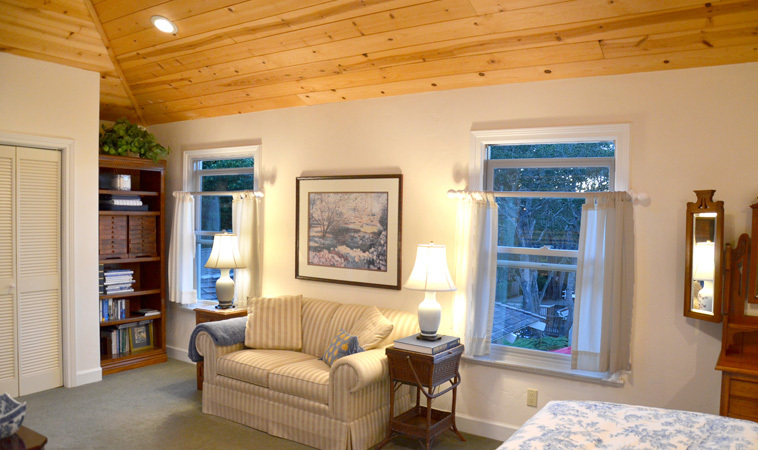 Convenient yet private location, walking distance to Carmel galleries and beach.